Jameson practices civil litigation with a focus on transportation, premises liability, construction defect and product liability claims. 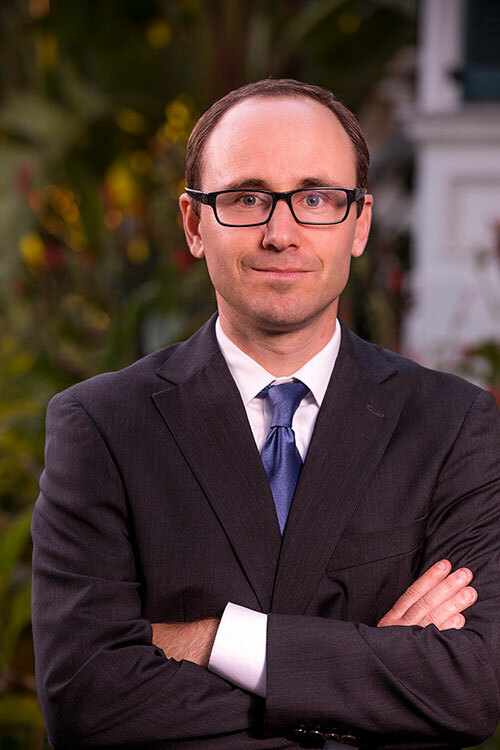 Jameson also maintains an insurance coverage practice having begun his private practice career with a boutique firm that exclusively practiced insurance coverage and related litigation. Jameson also previously practiced international law with a public health non-profit in Washington D.C. before returning home to Santa Barbara. Jameson graduated with a B.A. from the University of California, Berkeley and a J.D. from American University’s Washington College of Law. Jameson also had the unique opportunity to receive a Master of Laws (Juris Doctor) from Monash University in Melbourne, Australia through a dual-degree program with the Washington College of Law. Jameson is admitted to the State Bar of California and the United States Court for the Central District of California. When not practicing law, Jameson enjoys spending time with his family in or around the ocean and mountains.